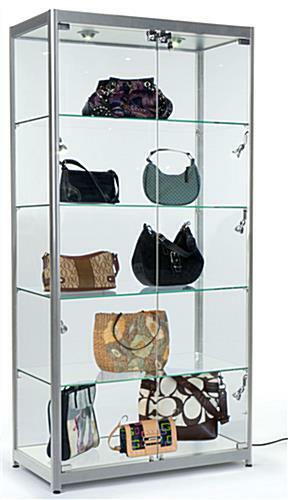 With 2 ceiling and 6 side lights you can rest assured this LED illuminated display cabinet will keep your merchandise in the spotlight. 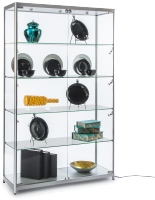 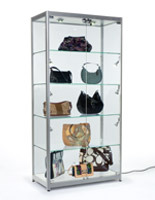 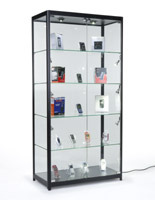 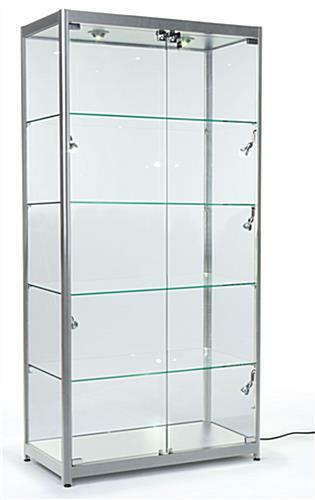 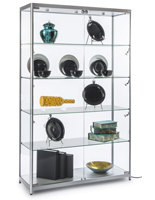 Each glass case features 4 tempered shelves that are 6mm thick for durability. 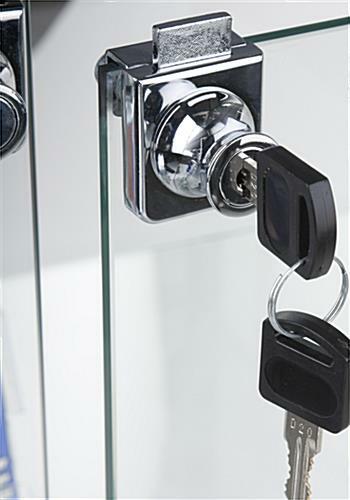 The locking display cabinet comes with a set of keys to ensure products remain safe from unwanted tampering or accidental breakage. 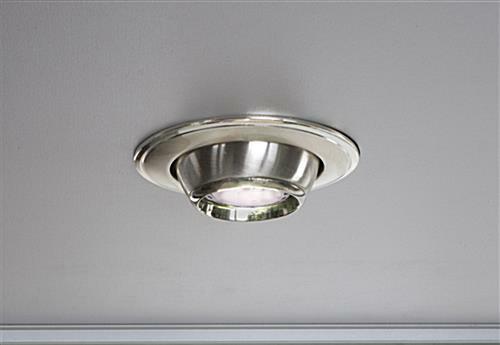 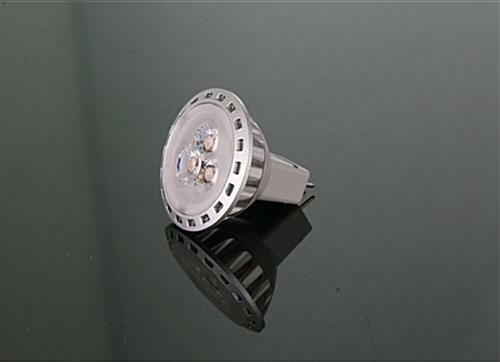 Additionally, a 92” long power cord with switch allows you to turn the lights on and off without having to unplug the unit. 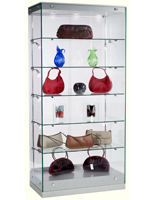 Leveling feet keep the glass case stable on slanted or uneven surfaces. 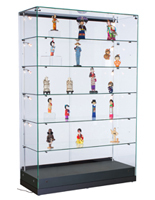 Use this display cabinet in your store to showcase collectibles, memorabilia, and other priceless keepsakes.